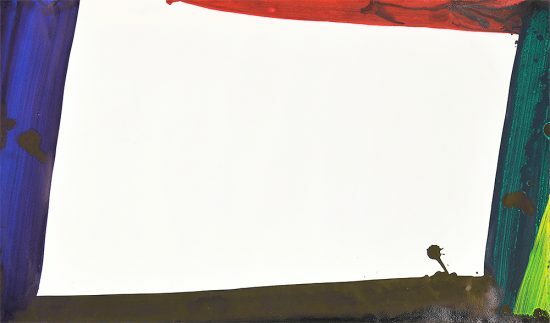 A unique and original gouache and watercolor. 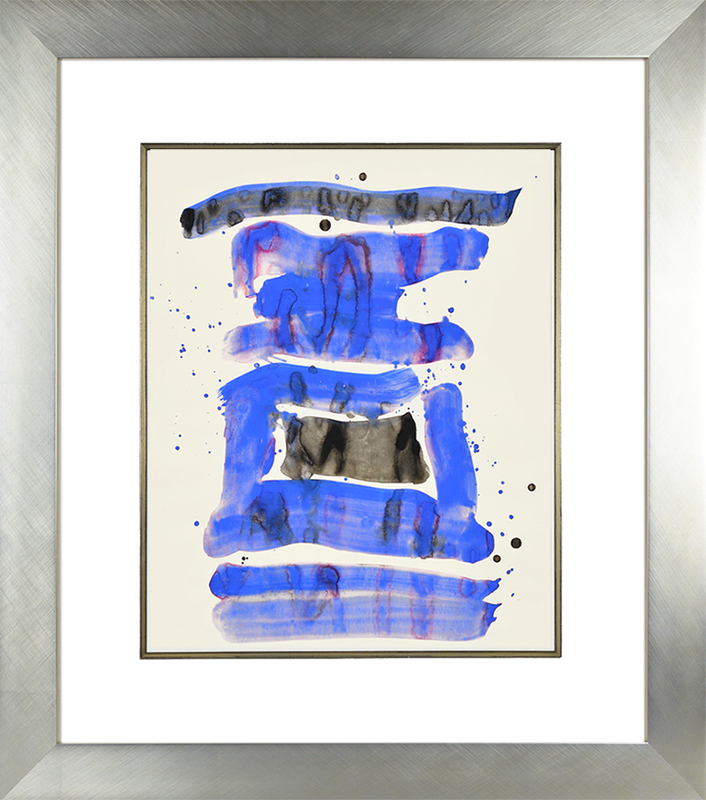 This work is hand signed and dated by Sam Francis (San Mateo, 1923- Santa Monica, 1994) on the verso. 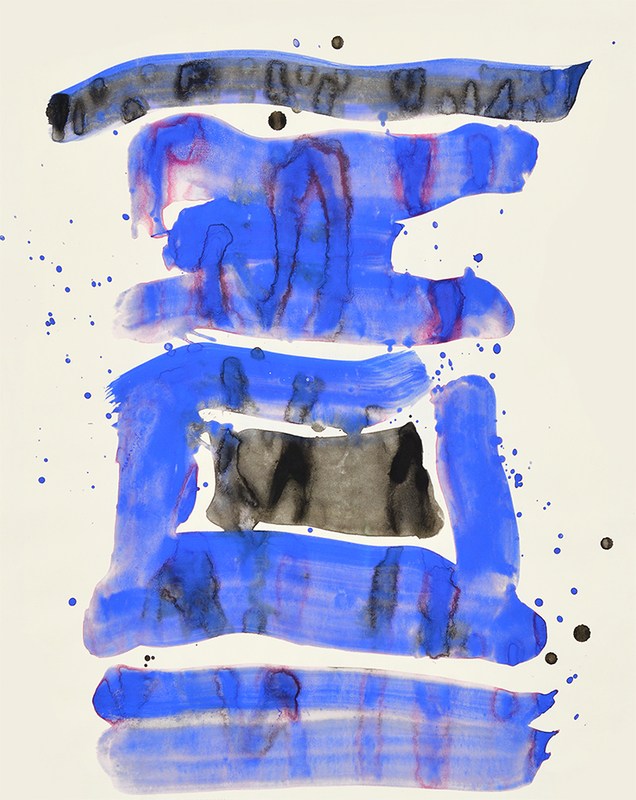 Sam Francis Untitled, 1960 is composed of a series of blue lines stretching horizontally across the page. The saturation of the blue varies across the page, from lighter and more opaque sections, to blocks of fully saturated blue. 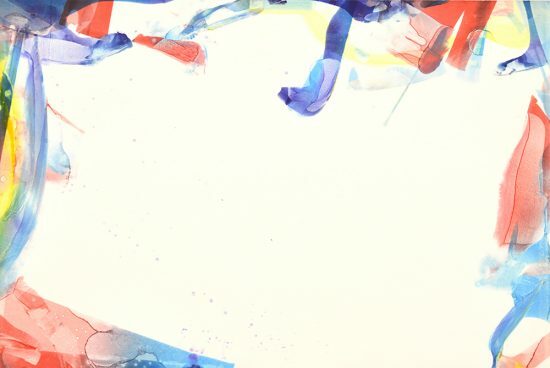 Depth is added to the blue with layering of purple and black, that scratch and char across the vibrant blue, creating interesting intermixing of colors. 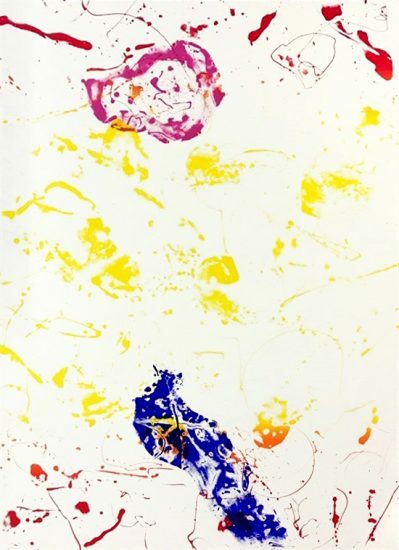 Much of Sam Francis’s work plays with the use of white space – always this space is left intentionally blank as a part of his artistic design. The same is true here. 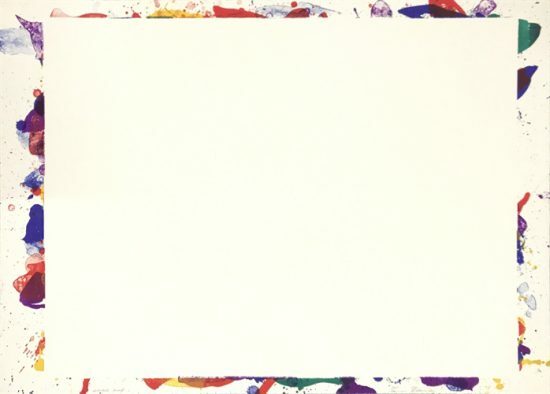 The watercolor has been placed with purpose, and acts under the will of Francis’s hand. 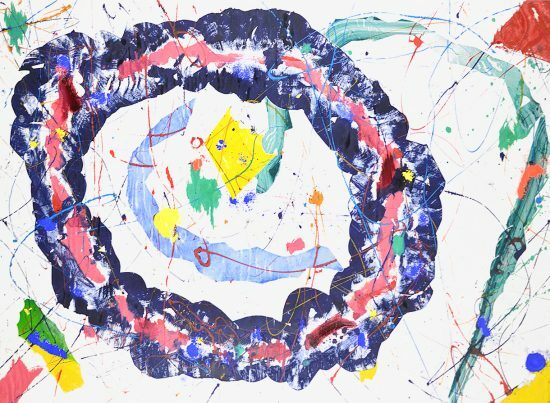 In addition, the splatter that looks spontaneous has been used deliberately. 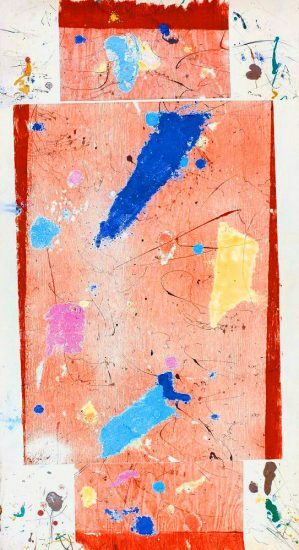 Francis walks a delicate line between the careful planning of his works, and the natural creation of them on the paper. 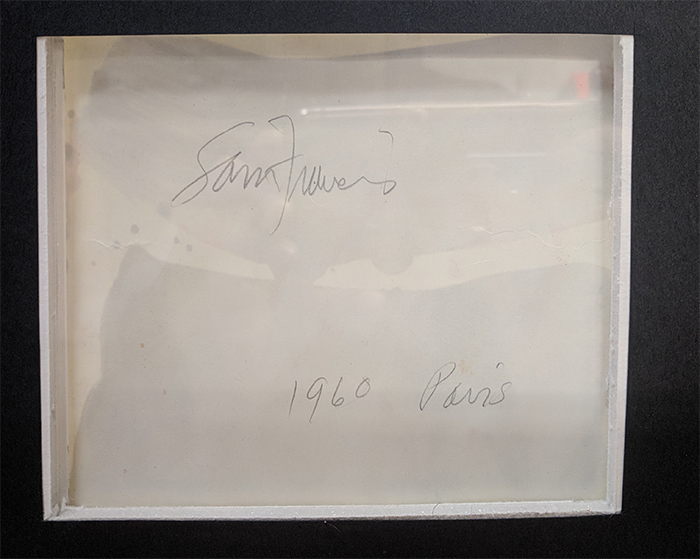 Around the time that Untitled, 1960 was created, Francis was moving into what is called is “Blue Balls” period. A hallmark of this time was his almost singular usage of the color blue. 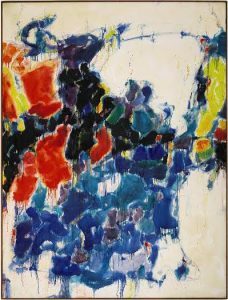 The dominant use of blue in Untitled, 1960 is clear, as well as the minor entrance of new colors, as occurred towards the end of his “Blue Balls” period as he moved into a multicolored work once more. 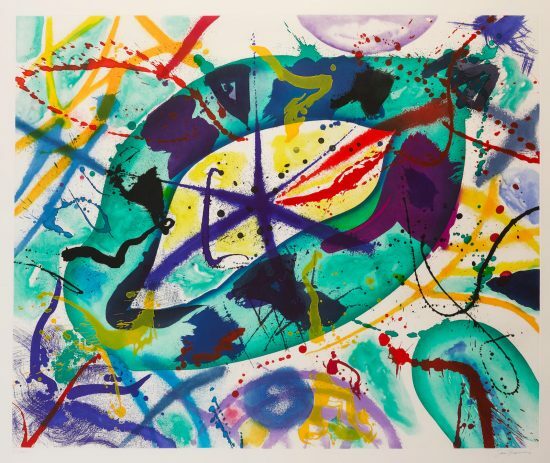 Created in 1960, this unique original gouache and watercolor on paper is hand signed and dated by Sam Francis (San Mateo, 1923- Santa Monica, 1994) on the verso. 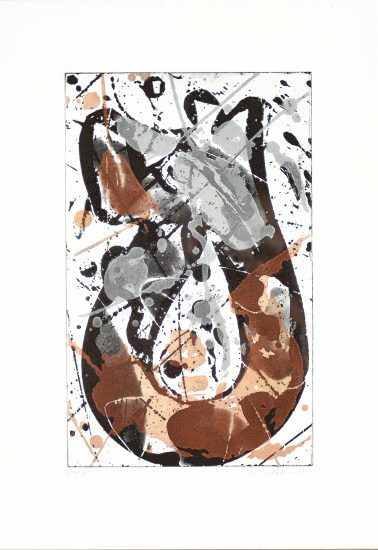 Sam Francis Untitled, 1960 is fully documented and referenced in the below catalogue raisonnés and texts (copies will be enclosed as added documentation with the invoices that will accompany the sale of the work). 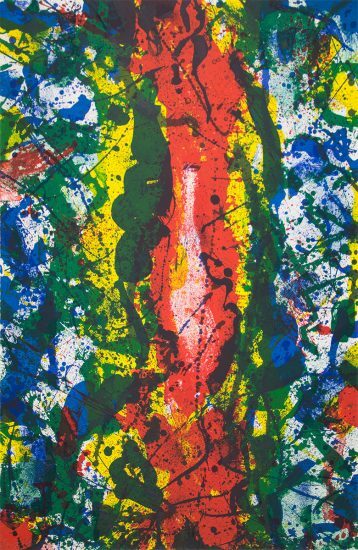 Framed to museum-grade, conservation standards, Sam Francis Untitled, 1960 is presented in a complementary moulding and finished with silk-wrapped mats and optical grade Plexiglas.